Arrr, me hearties! September 19th be Talk Like a Pirate Day! By yers truly as Funny Bones! Fer perfectionists with lots o’ time to squelch, here a longer video be. Amusin’, educational, and humorous, aye! Fer fun pirate trivia, go here. Do ye like pirate speak? Or would ye rather trapped in Davy Jones’ Locker be? Arrr! Don’t be a crusty, old barnacle. Yeo-heave-ho and a barrel of fun! Avast! Tis fair winds ahead, squiffies! Har! Har! Har! This entry was posted in Funny, Holidays, Humor, Pirates and tagged Funny Bones, pirate jokes, pirate speak, pirates, Talk like a pirate day. Bookmark the permalink. Ay alas appen alls well me heartie! Arrr, Catherine! Alls well? Yeo-heave-ho and a bottle o’ rum. Cheers to ye and yer crew! Har har har! Saw arm and a leg coming! Funny. Ah, Jim Lad, so you seen it comin’, did ye? Gots a leg up on the rest of ’em! Yarr! Fun post, Lynn. I say, “Avast, ye mateys!” Don’t know what it means, but must’ve of heard in a movie. Ahoy, Marsha, me hearty! “Avast” – stop and take notice. Aye! Methinks! Yarr! Yarr, Teresa, tis never too late! If ye still prefers not to take part, spare ye me cutlass, lassie. Aye! I be keelhaulin’ Firrrefox at work today, but no one seems to notice, LOL! Can’t watch the videos here, but I bet they’re fun! Arrr! Jennette, keelhaulin’ Firrrfox! Raisin’ me grog to ye! Aye! Arrr! Arrgh, matey! Your humor keeps ye from walking the plank. Yarr, Diana! Me humor save me from walking ye plank! Crusty barnacles, matey, me thanks ye! Arrrr! Ah, tickled ye funny bone, lassie? Tis good nuff for this ole salty sea wench! Aye! Arggg. I think me thromborax is avastly broken for when I command the scurvy scum to swab the decks at me house, instead of gettin’ an aye aye cap’n, I get a horrified look of disgust from the brazen crew. What say ye? Shall I keep exercising me thromborax or simply make the heathens and wenches walk the plank? Good stuff today, Lynn. Wish I’d have know about this a little sooner in the day though. Kind of late now to be enjoyin’ it. Yarr, salty sea air and shoutin’ orders sinks ye thromborax, matey! Them bottle-heads best mind the cap’n of the ship or poop deck it be for ’em bilge rats swabbers! Bewares o’ mutiny, Cap’n Ma! Avast! Welcomes aboard, landlubber. X marks the spot. We set sail fer treasure on the morrow. Yo-ho, yo-ho, pieces of eight fer all ye mateys. And a bottle o’ rum fer good measure! Aye! Land ahoy! There be pirates swarming the rigging and swinging cutlasses. Better makes sure they be packing shovels too, ay? Captain Kelley, are there pirates in yer next book too, or am I imaginating things? Yvette – Me loves yer pirate speak! Methinks ye must ‘ave some pirate blood in ye! Fergive this haggard sea wench fer takin’ so long to reply. Been on the poop deck lately. That be poop deck fer bein’ pooped out, not the latrine! Arrr! (And ew!) 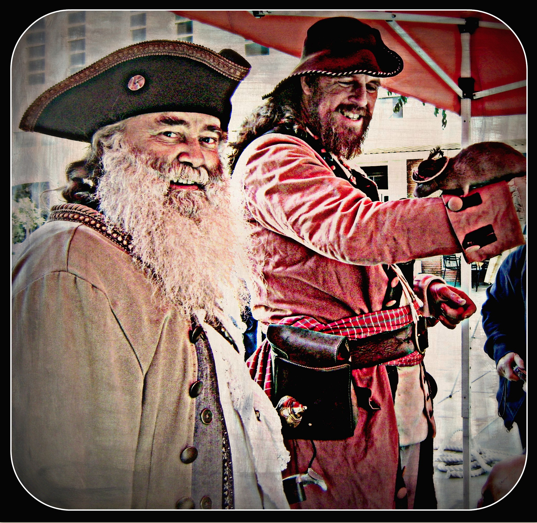 Me thanks ye fer climbin’ aboard Random Acts o’ Weirdness, matey! Ho…ho…ho and a bottle of rum! Har har har, Nas! Bottoms up to ye! Arr, me hearty! ’tis never too late fer pirate speak! Yeo-heave-ho and a barrel of fun! I heard if you went into Long John Silvers on Pirate’s day, and talked like one, they gave you free food. Did you try it? Nay, Christina, me hadn’t heard ’bouts Long John Silvers’ free grub! Shiver me timbers! Arrr! Next year, matey!